Well, I did paint the submarines already but they are technically boats so this is definitely the first of the PLAN ships. 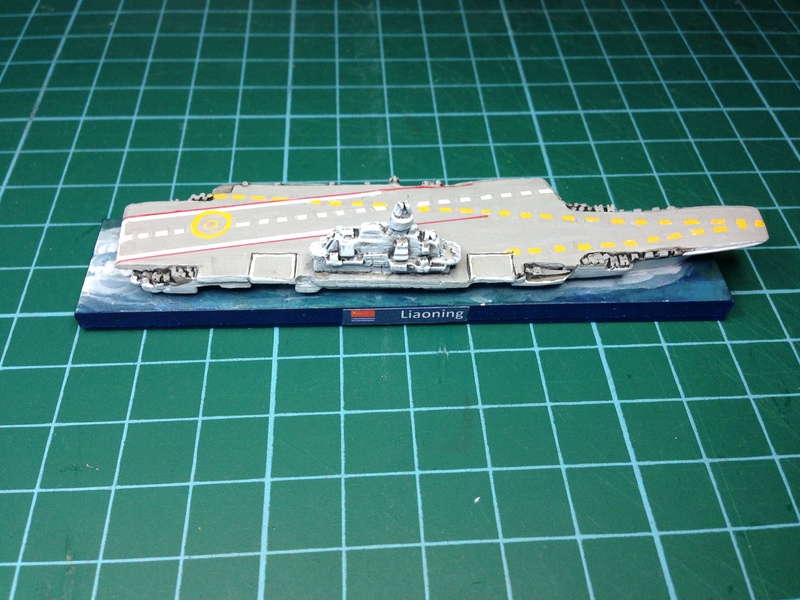 The Liaoning finished – port-side view – labelled and with the sea base painted. I am particularly happy with the way the deck markings came out. 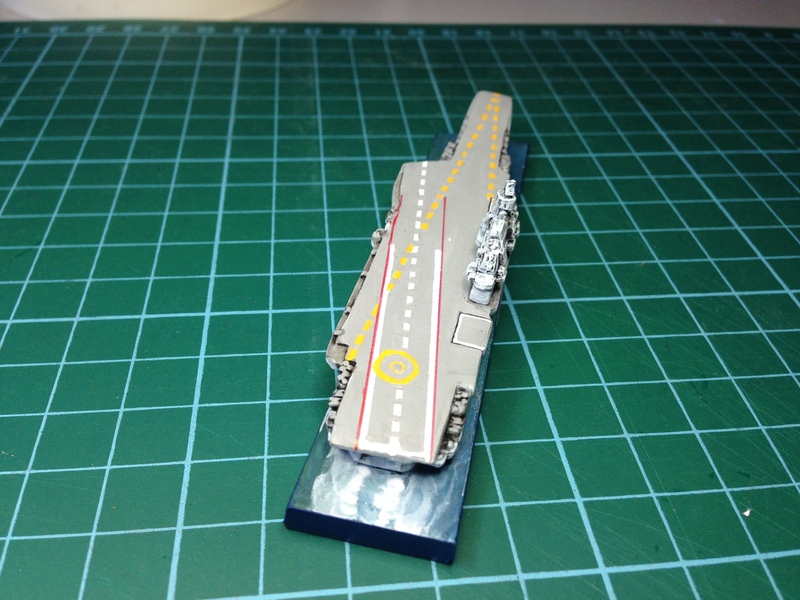 I’m feeling so confident with them now that I am starting to plan the painting of the carriers for the American and Japanese side for the Battle of the Philippines Sea. 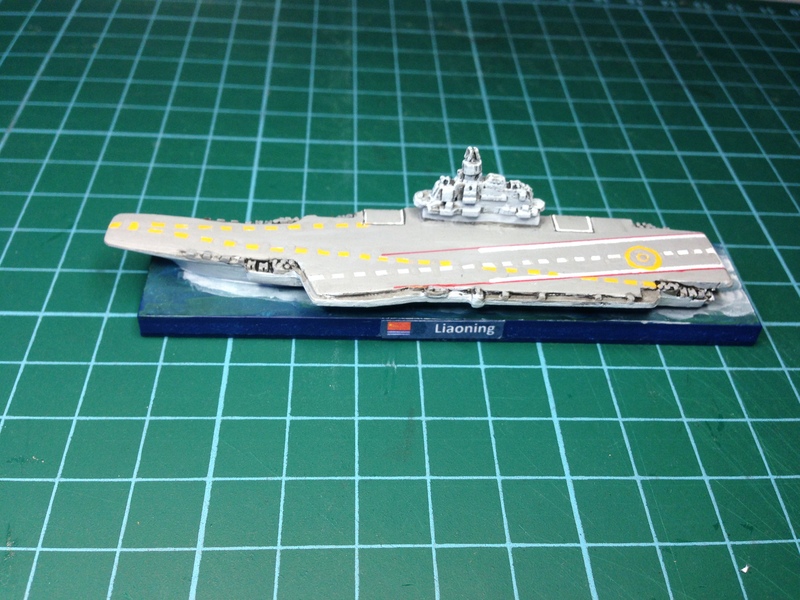 The Liaoning finished. The starboard view of the Liaoning. There was a lot of confusing information on the Internet concerning the deck markings but I managed to find some satellite shots that confirmed the marking positions. As she is armed with about 30 J-15s along with 24 Super Frelons (Z-8s) and Ka-31s there are less helicopter marked landing spots on the deck than previously thought or planned. I guess the fighter pilots get confused with too may markings. A pilot’s eye view of the Liaoning although it does look like he is coming in too high. I am still debating with myself whether or not to paint the arrestor cables in across the landing path. 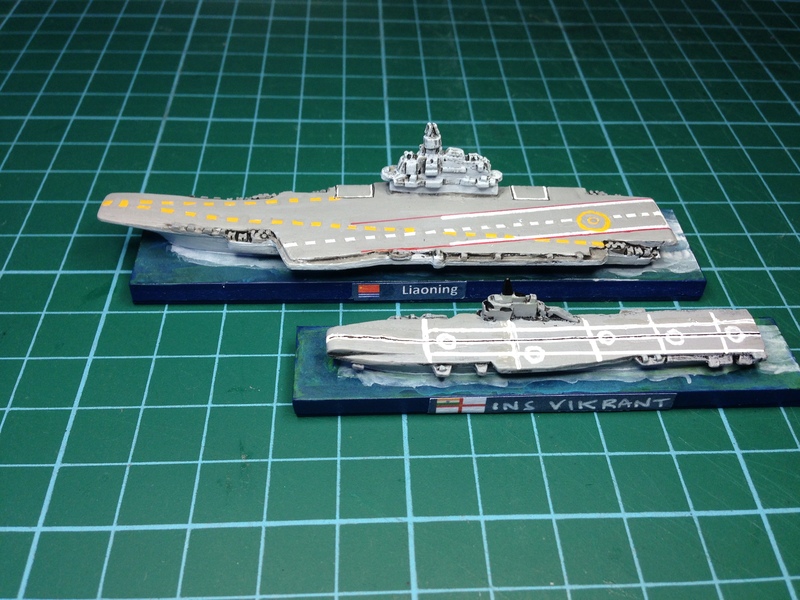 The Liaoning finished – port-side comparison with the INS Vikrant. Whilst India will soon be a three carrier navy, the next two shots provide some idea of scale between the Liaoning and the Vikrant. 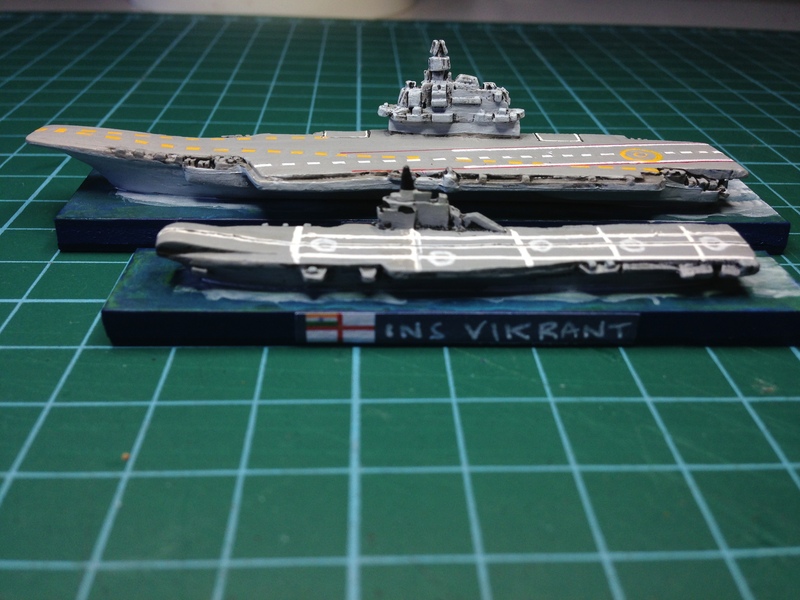 The Liaoning finished – port-side comparison with the INS Vikrant. There is a very sizeable difference between the two carriers. Mucking around with DBA terrain tonight – back to the PLAN tomorrow night I think. I have been admiring your painting of the Liaoning. Particularly the deck markings. I have tried to get straight lines on 10mm British tanks for the Caunter colour scheme and gave up. How did you get the deck markings so perfect. Is there a particular technique?